Mmm, I loved this dish since there was SO sauce over the grits. The poached eggs were an added yolk-y bonus on top! Yum! 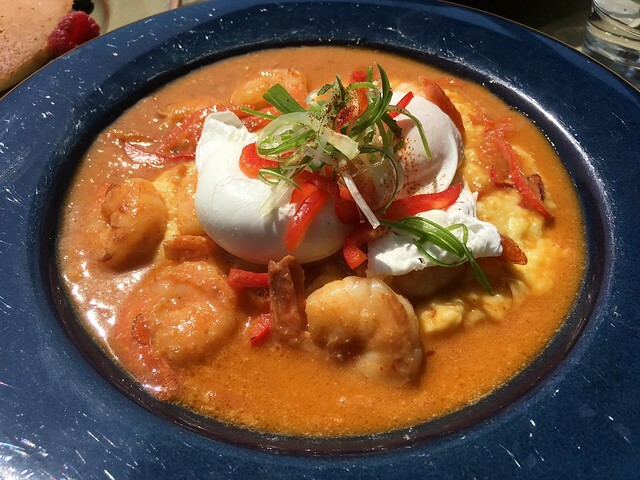 This entry was posted in Novy Restaurant and tagged brunch, eggs, food, grits, poachedeggs, shrimp, shrimpandgrits by vicentesf. Bookmark the permalink.